Iodine Deficiency | Crank It! Iodine deficiency is the most common cause of preventable mental retardation and brain damage in the world. 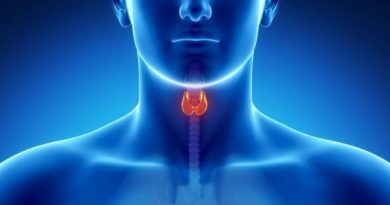 Insufficient iodine leads to a decrease in thyroid hormones that are necessary for normal growth and development. Iodine deficiency disorders (IDD) include goiter (enlarged thyroid gland), hypothyroidism, mental retardation, reproductive problems, and a wide range of neurological and physical disorders. Once dismissed as a minor, cosmetic problem, iodine deficiency disorders are now recognized as a major medical problem presenting a considerable threat to the social and economic development of many countries. People develop IDD when there is not enough iodine in their diet. If there is little iodine in the soil, crops grown in that soil and animals grazing on that land yield insufficient iodine for the people who eat the meat and produce from these areas. This situation is more likely to be found in areas with high mountains, in geographical regions with frequent flooding, and in countries located far inland. The Thyroid Gland and Iodine. According to the International Council for the Control of Iodine Deficiency Disorders (ICCIDD), iodine deficiency disorders exist in at least 130 of the world’s 191 countries. Only twenty countries are considered to no longer have IDD, including the United States. (There is not enough information to assess forty-one countries.) The statistics associated with iodine deficiency disorder are sobering. 2.2 billion of the 5 billion people living in 130 countries are at risk for IDD. Thirteen percent of the world’s population (740 million people) have goiters. Until the last decade, 100,000 cretins (people suffering from severe mental and growth retardation due to IDD) were born every year. In response to the overwhelming evidence that iodine deficiency is the leading cause of preventable mental retardation and brain damage, the 1990 United Nations World Summit for Children issued a mandate to eradicate iodine deficiency disorders by the year 2000. The ICCIDD is the only inter-national organization specifically organized to promote the elimination of IDD. It is a non-profit, non-governmental organization that serves as official consultant for the World Health Organization and UNICEF. ICCIDD’s multi-disciplinary network of experts comes from 82 countries. They work with inter-national agencies and governments to help them develop, implement, and monitor national programs to eliminate iodine deficiency. Salt is universally and regularly consumed. The technology to iodize salt is simple. There are many studies that support the effectiveness of iodizing salt. According to John T. Dunn, M D., Secretary of ICCIDD, potassium iodide or potassium iodate is usually used to iodize salt. These iodine deposits can be found in Chile, Japan, and the United States. Certain natural gas wells can also produce iodine. Because of the limited sources of iodine, most countries have to import it. Many countries also have to import salt. Fortunately, the process of adding iodine to salt is relatively simple. It can even be done at the village level by spraying a solution of either potassium iodide or potassium iodate on salt as illustrated in the photograph at the top of page 3. Modern salt plants can also easily add this step in their processing of salt. Regardless of where the process takes place, the added iodine is tasteless. Iodine deficiency disorders affect billions of people worldwide. The effects can be devastating and irreversible, not only for the people with IDD, but also their family, their community, their country, and the world. There is an effective method of elimination that is simple and inexpensive—adding iodized salt to the diet. There is an international organization dedicated to eliminating IDD. Unfortunately, much of the public is unaware of the situation, particularly Americans. The Thyroid Society hopes that this article will be a step toward increasing awareness and support for the efforts to eliminate iodine deficiency disorders permanently. One-third of the world’s population is at risk for iodine deficiency disorders. Elimination of iodine deficiency disorders will result in the improvement of child survival rates, children’s learning potential, women’s health, quality of life, and economic productivity. Iodine deficiency disorders such as cretinism can be prevented but not cured. Long-term consumption of iodized salt is not toxic. Iodized salt should be used within six months of purchase. Iodized salt improves the health and productivity of livestock. Dairy cattle who eat iodized salt produce iodine-rich milk. U.S. consumption of iodine has decreased 50% over the last twenty years. Without appropriate monitoring, iodine deficiency disorders can recur in countries with previously successful iodization plans. When asked why Americans should be concerned about iodine deficiency disorders (IDD) in other countries, Dr. John T. Dunn, Secretary of the International Council for the Control of Iodine Deficiency Disorders (ICCIDD), listed several reasons. IDD existed in the U.S. until the first of the 20th century. With unregulated iodine nutrition, such as we have now, we could be faced again with problems. The lessons learned from other countries emphasize the importance of paying steady attention to our iodine nutrition (see Focus on Research on page 5). IDD creates a large waste in terms of human potential, disease, and economic productivity. America prospers when other countries in the world—its trading partners, for example—prosper. It is simply uncivilized to stand by and let any people, here or abroad, suffer needlessly. IODINE DEFICIENCY IN AMERICA. A THING OF THE PAST? Although there is a massive global campaign to eliminate iodine deficiency affecting one-third of the world’s population, most Americans are unaware or unconcerned about the impact of iodine deficiency in this country. Many assume that the United States has eliminated iodine deficiency and that it will not recur. But is that the case? In the early 1900s, certain areas in the United States were iodine deficient. The Midwest and Great Lakes area were known as a “goiter belt” because glaciers had stripped much of the iodine from the soil. Goiters were common, especially among women. Thyroidectomies (surgical removal of the thyroid gland) were frequent procedures. Researcher David Marine conducted clinical experiments that proved the benefits of adding iodized salt to the diet. Along with other medical leaders, Marine campaigned for iodine supplementation, particularly with iodized salt. Public health departments, medical organizations, and major salt producers joined in the cause, and, by the late 1930s, most Americans were consuming iodized salt. Unlike Canada, where salt iodization became mandatory, the United States program became and remains voluntary. Today both iodized salt and non-iodized salt are available in grocery stores. Some Americans are unaware of the difference between the two. Current estimates indicate that about 50% of the U.S. population use iodized salt. In the United States, many farmers give their animals iodized feed to improve their health and productivity. Therefore, iodine can also be found in various dairy products, eggs, and meat. Forty years ago, commercial bakers began to add iodine as a bread stabilizer. Although not used as commonly today, iodine is still present in some bread products. Additional sources of iodine include kelp, some health food products, and certain multivitamin tablets containing as much as 150 mcg of iodine. With the exception of iodized salt, these sources of iodine are not regulated by public health concerns. Social and commercial factors influence how much iodine is added to these products, and the amount can change without public notification. Findings from recent studies seem to indicate that Americans consume an average of 200 mcg of iodine a day, an amount safely over the minimum requirement. However, the recent National Health and Nutritional Examination Survey found this amount represents more than a 50% decrease in iodine consumption over the last twenty years. Dr. Steven I. Sherman discusses these findings in his Focus on Research article on page 5. Although the United States has seemingly conquered iodine deficiency for sixty years, we should not become too complacent. If trends in iodine consumption continue to show a decrease, our children could be at increased risk for mental impairment in varying degrees. 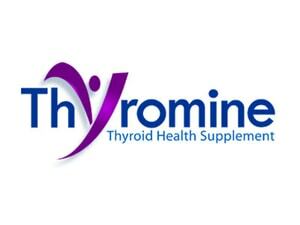 The Thyroid Society hopes to increase awareness of this potential problem in order to prevent a recurrence of iodine deficiency in the United States. Dr. Sherman is an Associate Professor of Medicine in the Section of Endocrine Neoplasia and Hormonal Disorders at the M.D. Anderson Cancer Center of the University of Texas. He is the Director of National Thyroid Cancer Treatment Cooperative Study Group and serves on several national committees focusing on thyroid disease. In addition to serving as Medical Director of The Thyroid Society, Dr. Sherman is a member of The Endocrine Society, American Thyroid Association, and American Association of Clinical Endocrinologists. Dr. Sherman graduated from Johns Hopkins School of Medicine where he also completed his internship, residency, and fellowship. Periodically, a large-scale survey is conducted to assess the health and nutritional status of the U.S. population. These studies, entitled the National Health and Nutritional Examination Surveys (NHANES), involve thousands of Americans who undergo careful questioning, examination, blood and urine testing, and a wide number of other procedures to evaluate the strengths and weaknesses of American health. Findings from these surveys are used to identify important trends in nutrition or illness, detect associations between food intake and disease, and establish priorities for national health and nutrition education programs. The third NHANES study was recently performed, evaluating the health and nutrition of Americans between 1988 and 1994. Among the myriad of tests performed in that survey was measurement of the amount of iodine that was contained in the urine excreted by the tested subjects. It turns out that in adults whose iodine intake and content are in equilibrium, the amount of iodine that they consume is virtually identical to the amount that they excrete in their urine. As it is easier to measure the amount of iodine in urine than in the foods that people eat, urinary iodine content is the standard test for epidemiological studies of iodine consumption. In this latest NHANES study, the average iodine intake in the U.S. remained more than adequate to prevent iodine deficiency. However, before we take for granted that iodine deficiency is not an “American” problem, the data require further examination. In fact, low urinary iodine levels were seen in nearly 12% of the population, a 4.5 fold increase over the first NHANES study 20 years earlier! Of women of childbearing age, almost 15% had low iodine levels, and even higher percentages were found among more affluent and educated women! Why these changes in iodine intake, and what do they mean for U.S. health? Unfortunately, the reasons are less clear than the trend itself. Perhaps reduction in salt intake has led to decreases in exposure to iodized substances. One particular population at risk for iodine deficiency are vegetarians, especially strict vegans who avoid cow’s milk and whose food is grown in iodine-deficient soils. By trying to follow “healthier” diets, many people may be unknowingly causing deficiencies of micronutrients such as iodine. For now, iodine deficiency is not a clinical problem in the U.S. But, this trend is disturbing and should warrant careful monitoring of our future iodine intake. Unfortunately, the next scheduled NHANES study was not originally designed to include iodine measurement. But, clearly, increased public awareness of the importance of iodine as a nutrient is required as a result of these epidemiological studies.